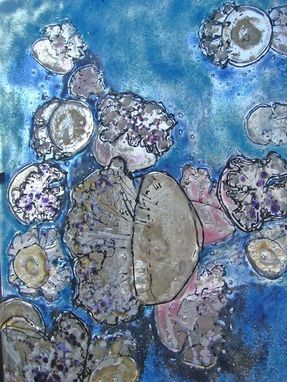 Translucent pastel jellies float in a suspension of blues. 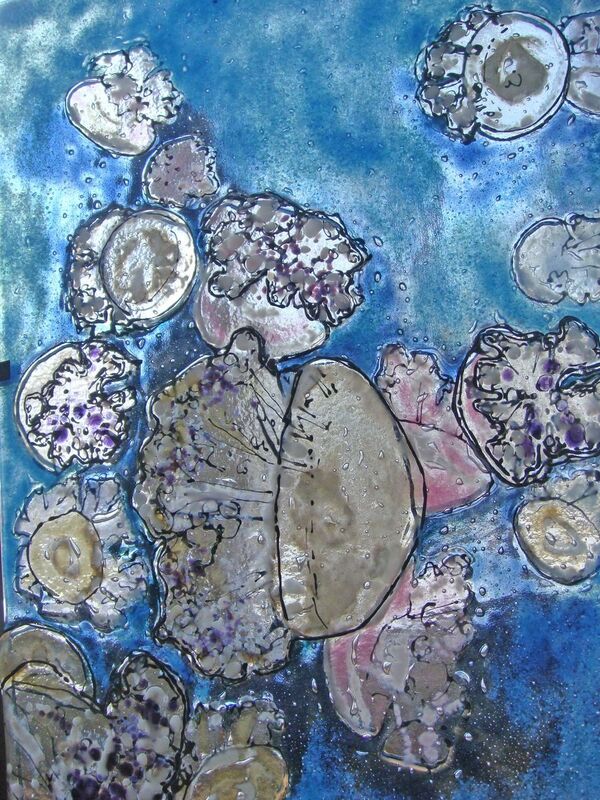 Layers of fused glass pieces, powders, and chips create a textural surface and shading in this glass fusing artwork. Voids under jellies create additional depth by light refraction.